Barbara Thomas moved to Colorado from San Marcos, CA. She attended the University of Colorado in Boulder, earning her Bachelor’s Degree in Kinesiology and finished her internship hours for her Athletic Training Certification in California with the Palomar Comets athletic teams. Afterwards, she earned her Master in Physical Therapy at Western University of Health Sciences. After graduating in 2002 she returned to work in a private clinic in Boulder, Colorado focusing on sports medicine, and in 2004 as a physical therapist in the Vail Valley. 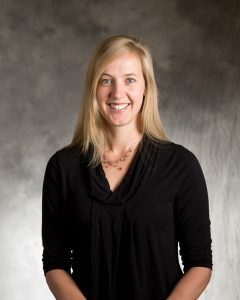 She has been in Breckenridge since 2007, and is a Certified Specialist in Orthopedics and Pilates Equipment. Barbara believes athletes can be any age or ability, and she enjoys working to create and achieve physical therapy goals with her patients. In the winter, she loves snowboarding and skinning with her new split board. Her summers are filled with rowing on Lake Dillon, biking and volleyball.